Tennis all Winter long. We have 12 very nice courts and a full time pro. 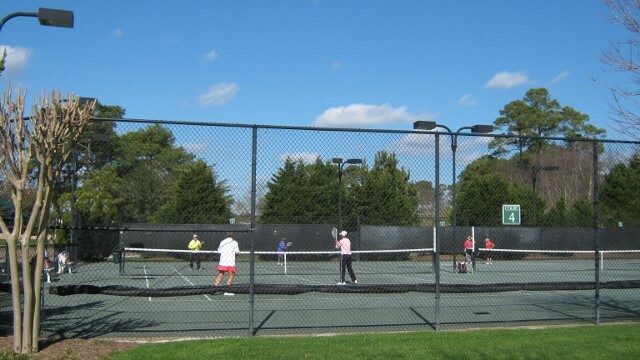 A few days it is too cold or too wet, but most days are busy on the courts. If you enjoy tennis, our facilities are excellent and the competition goes from beginner to level 4’s.